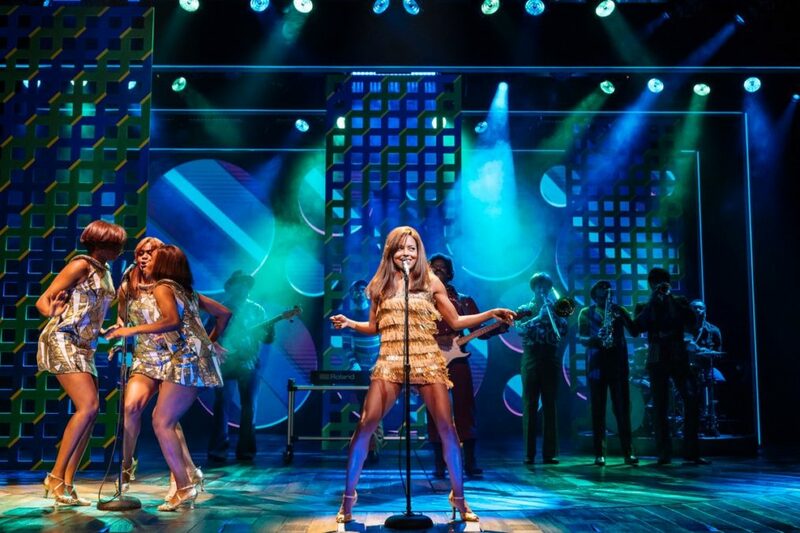 The hit Tina Turner bio-musical, currently thrilling audiences in London's West End, has announced a Broadway arrival. Tina: The Tina Turner Musical will begin performances in the fall of 2019 with exact performance dates and venue to be announced. The show is helmed by Tony-nominated Mamma Mia! director Phyllida Lloyd; the musical features a book by Olivier winner Katori Hall. Born Anna Mae Bullock in 1939 in Nutbush, Turner rose to fame in the 1960s alongside her husband Ike. She later revealed in her autobiography that she had suffered domestic abuse at his hands—they separated in 1976 and divorced two years later. Turner later made a massive comeback in the 1980s. The Queen of Rock ‘n’ Roll has sold 180 million records worldwide and been honored with 11 Grammy Awards. The Broadway production of Tina will feature choreography by Anthony van Laast, set and costume design by Mark Thompson, musical supervision by Nicholas Skilbec, lighting by Bruno Poet, sound by Nevin Steinberg and orchestrations by Ethan Popp. The West End staging stars Tony nominee Adrienne Warren in the title role. Casting for the Broadway mounting will be announced at a later date.